Sona is happy with the change, and so am I. He is so much more relaxed, so much more at ease since Juku has been away. I was playing around with my camera and took some close ups of him. 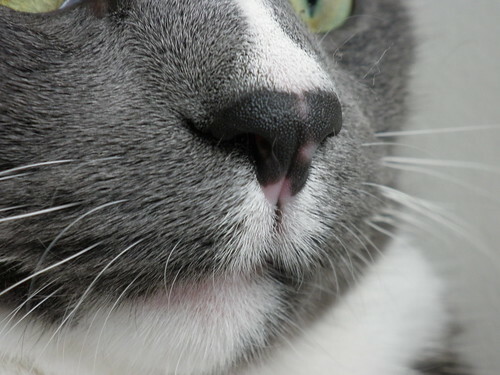 Sona's nose with the white stripe. 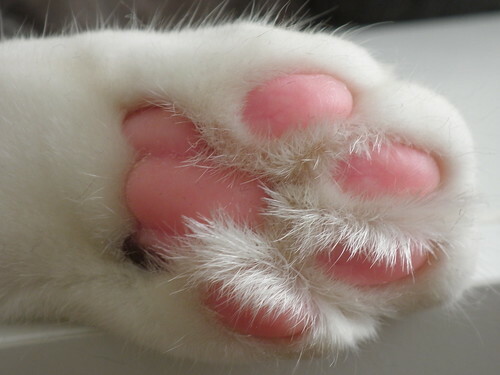 Pink paws with a tiny grey fleck.